Note the young girl's surprise, first to react, front row, second from your right ! 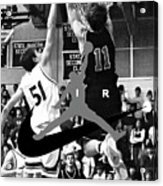 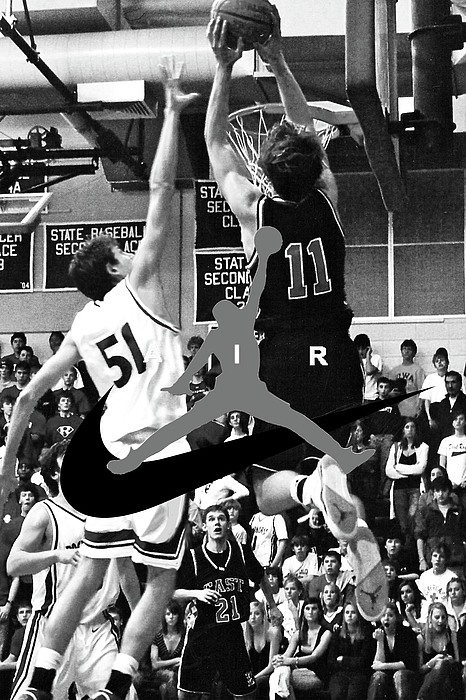 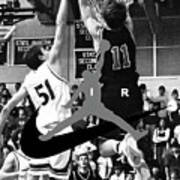 Photo with digital graphics, features Shawnee Mission East's high school legend, Sun Flower League All Star center, 6' 5" Bryan Nelson as he catches a no look pass from just outside the top of the key, while running the base line and goes Michael Air Jordan on historic rivals, Rockhurst high school, on the road, leading his team to another great victory, February 15, 2007, Kansas City, MO. Note the young girl's surprise, first to react, front row, second from your right. 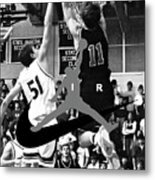 Bryan Nelson is my nephew.